Russell Wilson is the current NFL record-holder in terms of contract value after inking a four-year deal that averages $35 million, yet Patrick Mahomes will dwarf that when it’s his turn to land a contract extension. Nobody is going to argue against this. Every year, and some years multiple times in the span of just months, quarterbacks are breaking records with new contracts. Thanks to his rookie deal, Mahomes is currently one of the best values at any position in the league. Yet when it’s his turn to sign an extension, he’s set to break all previous marks, and likely by quite a bit. According to Mike Freeman of Bleacher Report, Mahomes could be looking at an extension that averages $45 million per year. This coming season will be key. Mahomes passed for 5,031 yards and 50 touchdowns last year, joining Peyton Manning in the exclusive 5,000-yard, 50-touchdown club. 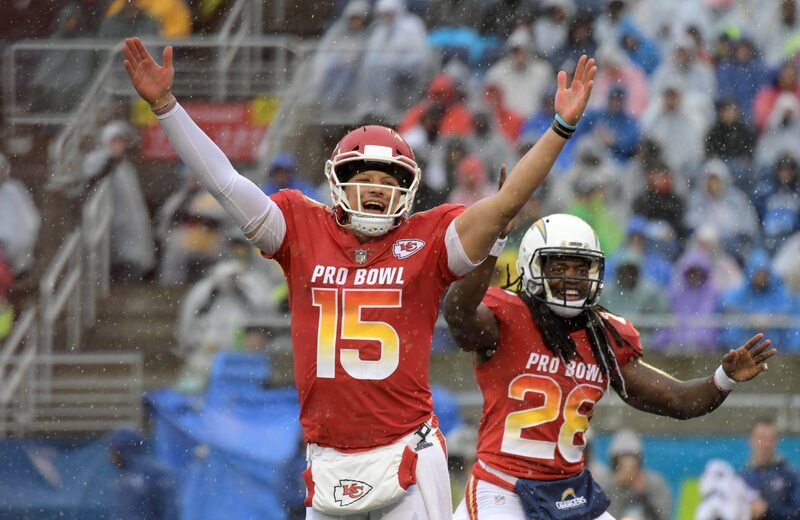 If he has another campaign like that in 2019, then there’s no doubt Mahomes will become the richest player in NFL history. Until someone else comes along, at least.